The Volkswagen brand is a globally active brand. Internationally, it has a uniform image and presents itself in all media with the highest degree of clarity. That is its forte. 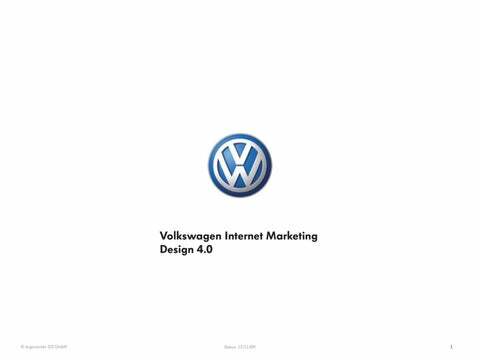 Inspired by the commercial centre of advertising and billboard design, the Volkswagen Corporate Design language has been transferred and further developed for the Internet Design 4.0. The new Volkswagen Internet Design 4.0 reflects modern design, dialogue and interaction principles: simple, clear and recognisable. This Style Guide defines binding design elements and rules that ensure the uniform perception of the brand, even in the digital world. The „Frame“ is the essential style-defining design element in Design 4.0. It makes up the „Framework“ and is also cited in design elements. The „Framework“ is a binding, fundamental basic element for all templates and page types. The „Framework“ is subject to the following rules: 1. Header and stage are separated with a horizontal drop shadow. 2. The stage is framed on the sides and to the bottom by a one-pixel line. 3. The frame borders the original contents. 4. The frame has a fixed defined width and can be extended to the bottom. 5. The frame contains the following elements: Logo, Main Navigation, Quick Start, Footer Navigation, Meta Navigation, Disclaimer. Other elements are not permitted. The entire website is embedded in a 5 x 5-pixel grid. This serves to define the column width as well as the positioning of the modules within the columns and the framework. Within the modules, particularly for modules that are mainly defined by text formatting, the dimensions may differ from the 5-pixel grid. 2.2 Grid Definition Stage The largest module in the grid forms the stage on the homepage and in the model area. 2.2 Grid Definition Columns The stage is divided into 4 columns. They are indented by 20 pixels on the inside and outside. The columns can be combined according to the template concept. The 4-column division also structures the HTML area. Here, as a rule, the left column is generally reserved for the navigation. As a matter of principle, the vehicles on the Volkswagen website are shown in a real environment. The use of cut-out vehicles in a virtual space is only permitted in the following cases: 1. In selection processes, e.g. in the Model Finder or Model Selector, the vehicle can be shown as a cut-out since in these cases it is easier to focus on distinctive features such as the body shape and size. 2. No appropriate material is present. On the Volkswagen website, typography is used in a mediaspecific manner. Whenever technically possible, the original corporate fonts are used. For better readability, VW Headline Book replaces VW Utopian in the copy text in Flash modules. In HTML modules, VW Utopia is replaced by the system font Arial. On the Volkswagen website, all colours defined in the current corporate design can be used in accordance with the general rules and specifications in the Internet Style Guide. Additional shades of grey have been defined particularly with regard to typography on the Internet. 2.6 Icons Overview The icons used are designed in accordance with the current Volkswagen Corporate Design guidelines. 3 Formative basic elements Overview Reduction and clarity are important for the image of Volkswagen. White space is the primary structuring design element. White spaces define the basic grid for the contents. The repertoire of design elements defined in the current CD has been intentionally kept to a minimum. They have been utilised in Design 4.0 and further developed for interactive implementation. Rules for the use of the white frame: 1. The frame makes up the framework of the page and of the layers. 2. The frame is displayed as empty space between modules. 3. Elements are framed if the original contents contain an image or a graphic and are not on a white background. Rules for the use of grey areas: 1. They are fundamental elements for the content. 2. They serve to structure the content. 3. Clusters of control and form elements have a grey background. 4. Layers, flyouts and teaser elements in the margin column have a grey background. Rules for the use of haptics (drop shadows): Spatial depth is used to structure elements on a page. Generally this applies for interaction elements such as buttons, thumbnails and teasers as well as to emphasise active elements and/or elements selected by the user (e.g. layers). The drop shadow to be used is uniformly defined for all elements e.g. buttons, tabs, teasers, thumbnail navigations, etc. Rules for the use of horizontal and vertical lines: Horizontal lines can be used to structure modules on the page or contents/content clusters within the modules. Vertical lines are exclusively used for structuring navigation modules. The text colour of the headlines is based upon the context, however, it should usually be #111111. If a headline is used on images, it can be #FFFFFF regardless of the image. The text colour of the sub-headlines is usually #111111. If a sub-headline is used on images, it can be #FFFFFF regardless of the image. Special styles for printing pages. 4.3 Definition Buttons and Links Overview Buttons, as well as the related sliders and video controls, are the only elements that have a slightly broken edge to support the look and feel during operation. Form button without link arrow These elements are additionally highlighted with a drop shadow. The text on the button has a vertical centred alignment. Intended only for use in promotion modules. Maximum one button per screen. Buttons to use in forms. Form elements are modified where technically possible. Pull-downs are not modified. 6.1 Editorial Pages Module Positioning All modules in the margin column and content area are arranged under one another at 20-pixel intervals. 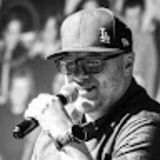 6.3 Modules Module behaviour If a submodule is dropped within a module, the next will move up to take its place.